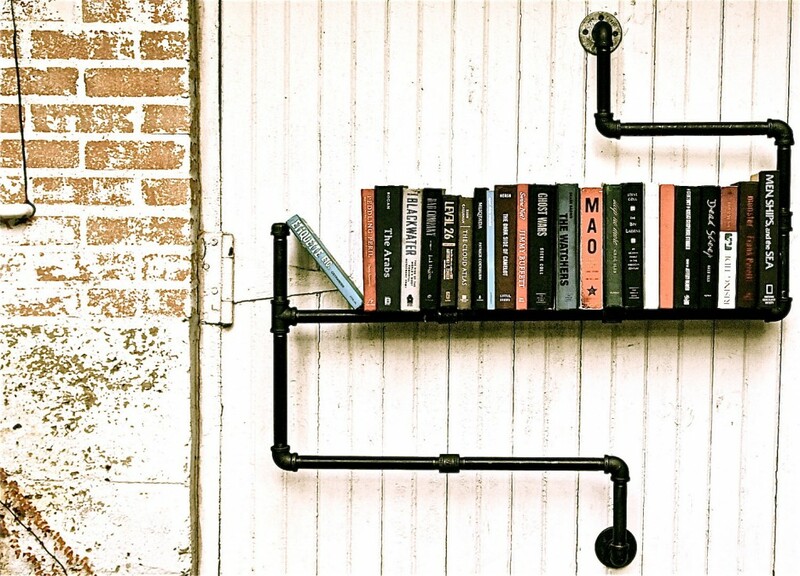 Do you like reading?yeah, almost all people in the world cannot live without a book. 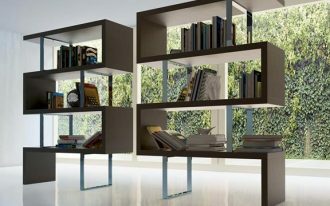 Book is the miniature of the world opening the sites in the simplest way and style. 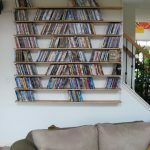 reading a book everyday is never been boring, and collecting some books becomes kind of hobby. 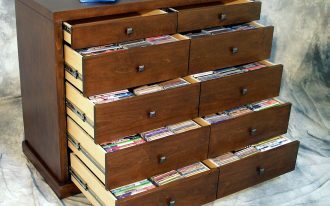 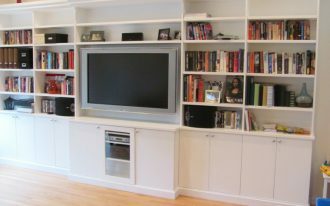 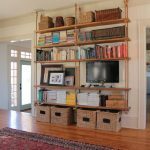 Finally, most people need to have what is called bookshelves to store them all in one well organized storage. 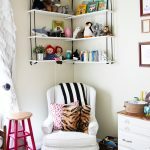 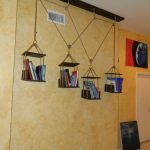 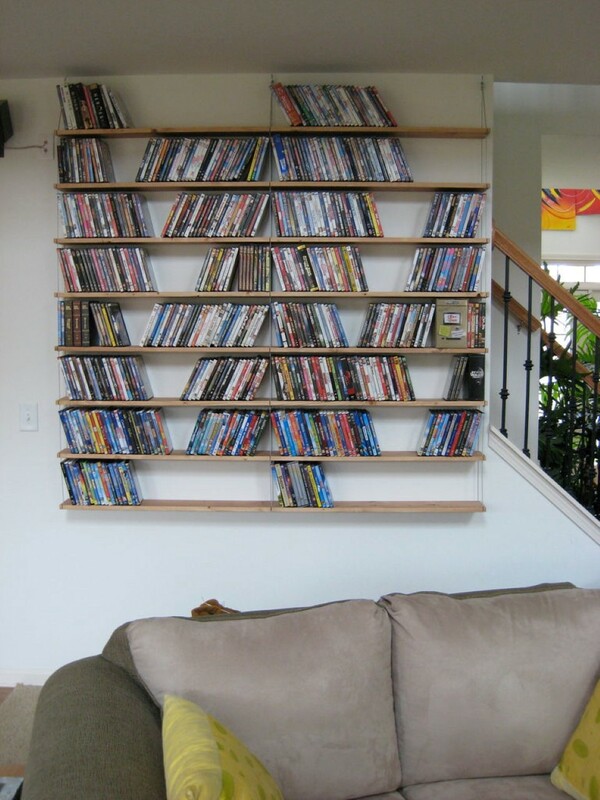 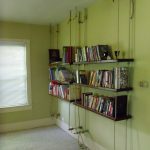 In this case, if you want to have a unique bookshelves idea, then you must have a hanging bookshelves wall! 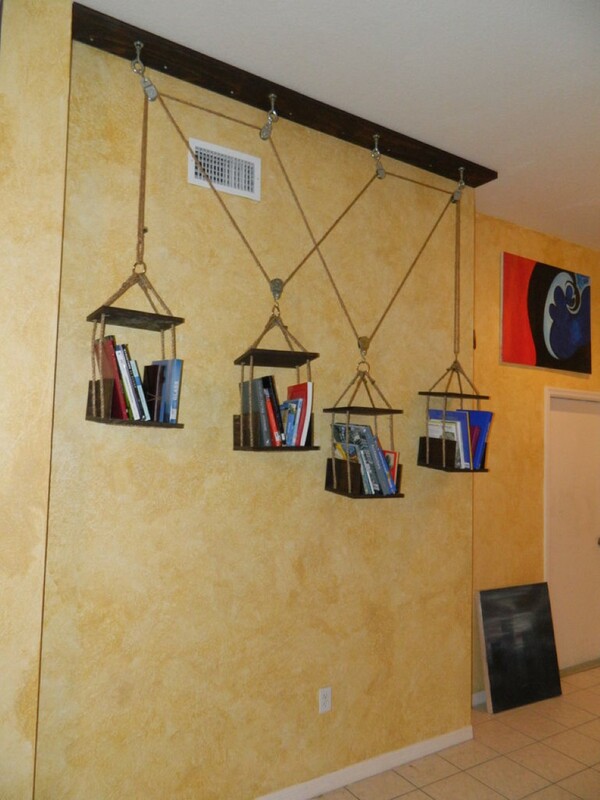 Even to live in a classic house design, having a hanging bookshelves wall is a must. 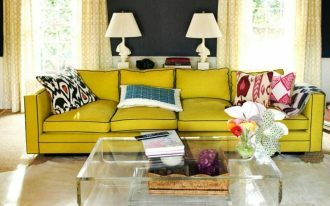 The pictures explain everything that the design brings joy and awe that you cannot miss. 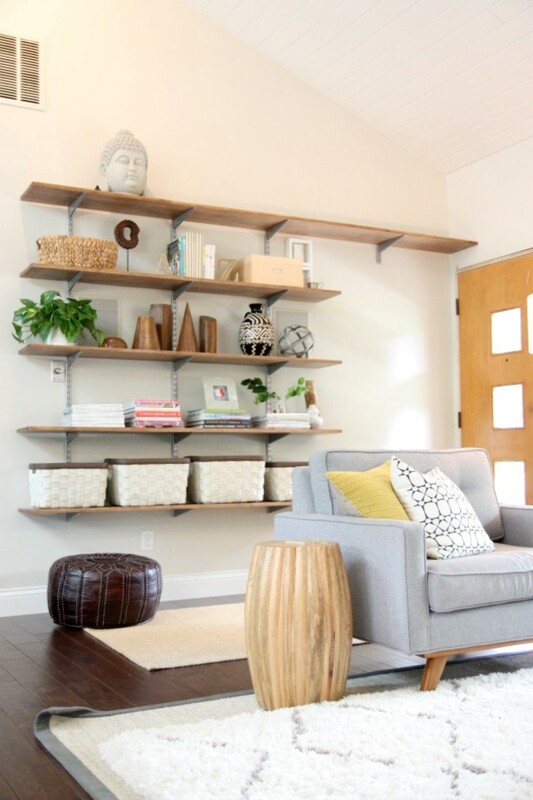 For instance, the wooden hanging shelves idea in a spacious room with red patterned area rug. 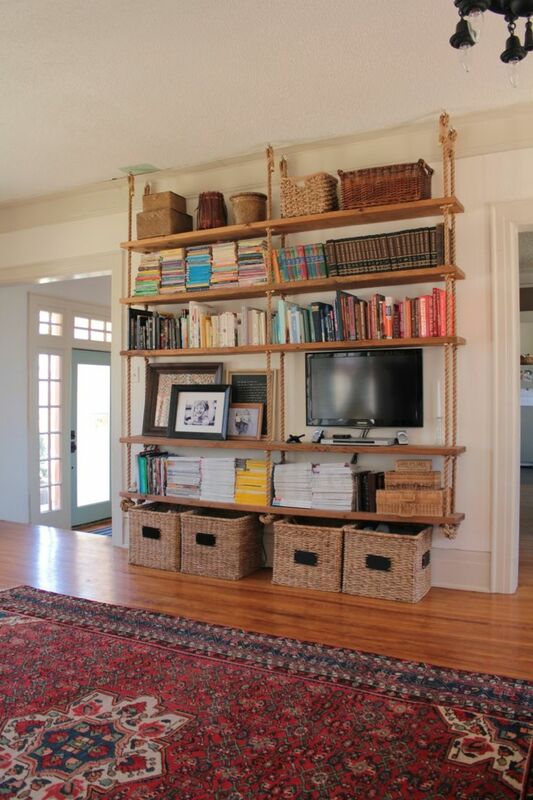 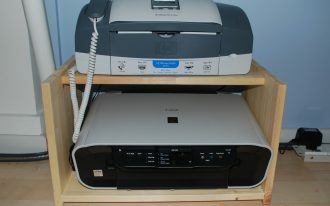 It loads not only books but also some stuff like TV, storage bins and also some pictures! 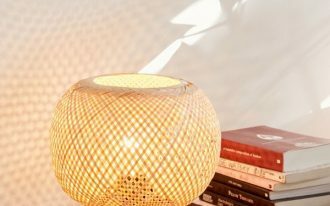 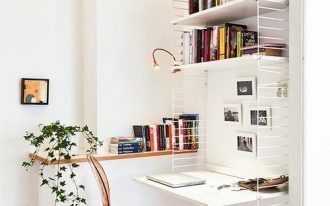 To color your small scandinavian room design, a cute small corner hanging bookshelf is a nice decoration. 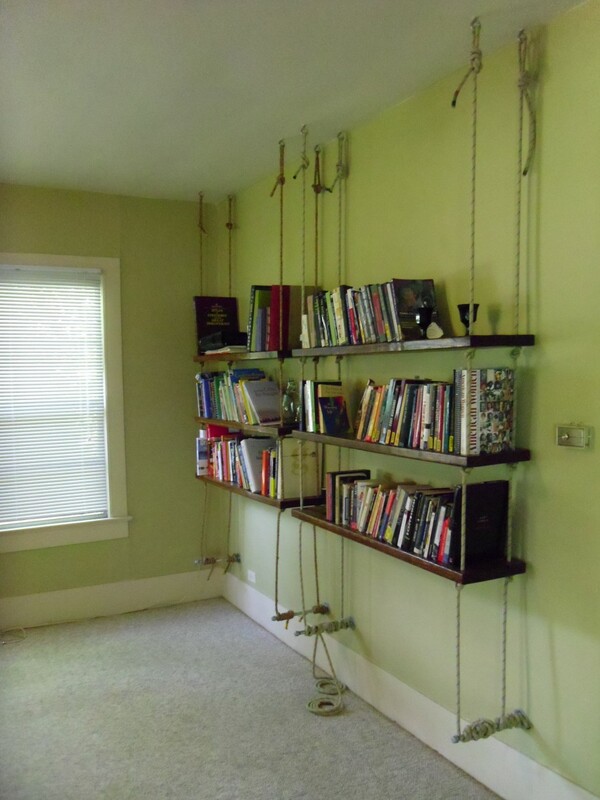 It sticks to the wall with black rope to hang beneath the ceiling. 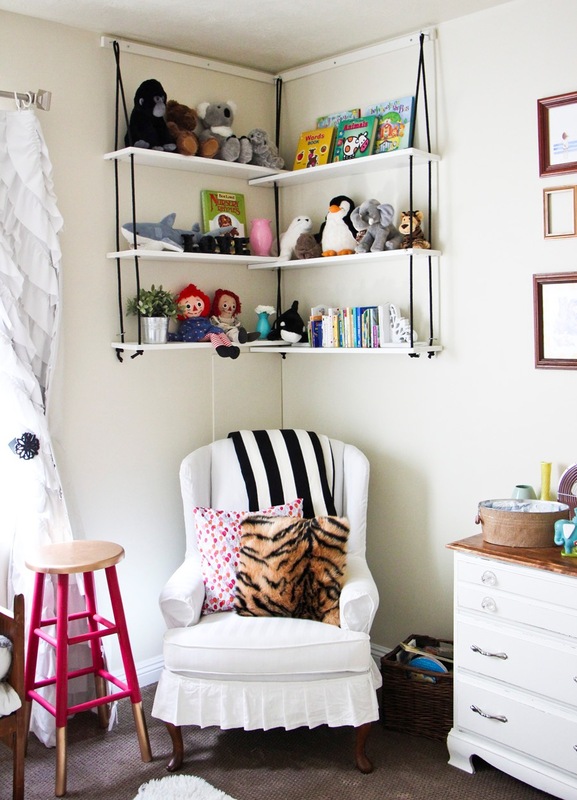 Of course, it is matching for your toys, dolls and your books! 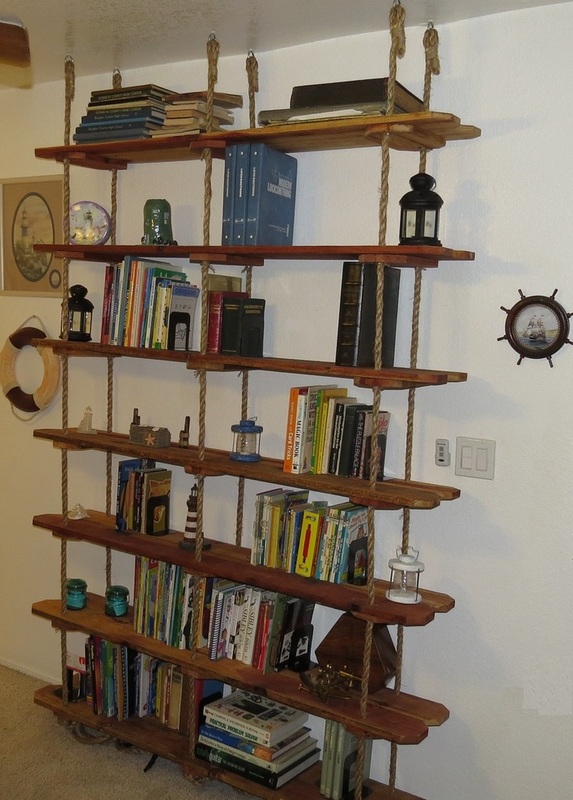 Another hanging shelves make different look with labirin shape that is ready to confuse your eyes. 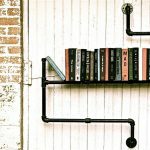 However, never mind because it is the heart of the design which if full of creativity. 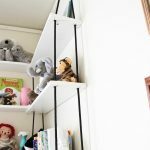 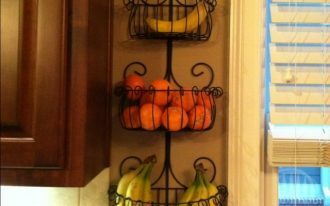 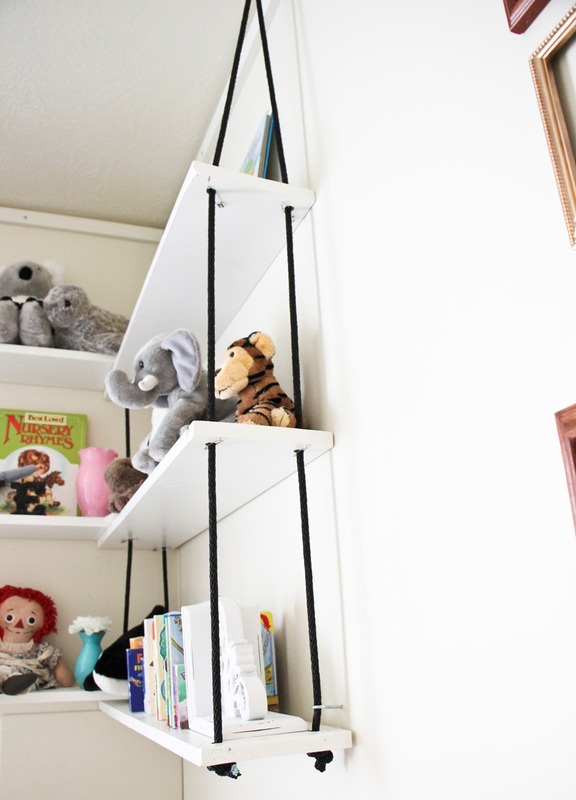 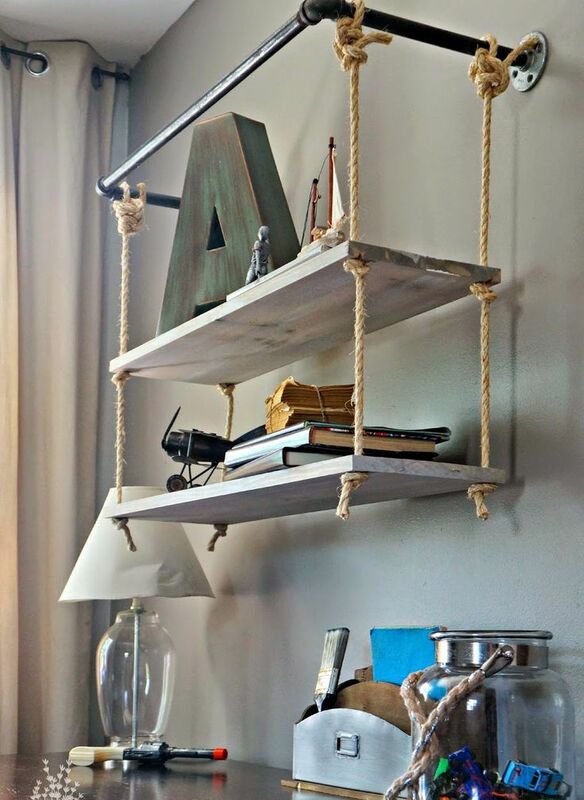 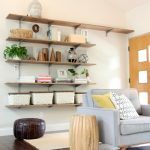 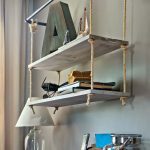 Further, a single hanging shelf for a single slot rope is amazing idea to make the shelf not only storage but also decoration, actually wall decoration! 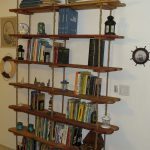 What do you think good people?